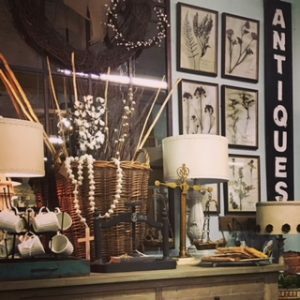 Abbey Road Interiors has a curated collection of vintage furnishings, industrial pieces, botanical prints, lamps and interesting decorative items. 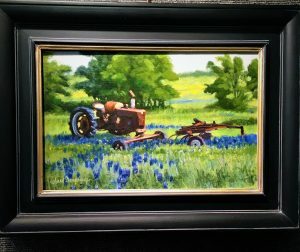 Jerral Derryberry is an award-winning local artist, and we are fortunate to have a large selection of his beautiful oil paintings including both still lifes and landscapes. 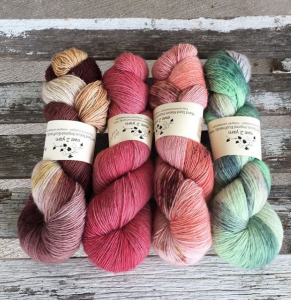 Ewe2Yarn carries nature inspired, eco-friendly hand dyed yarn, knitting supplies, French milled soap, hand forged silver and copper gemstone jewelry. 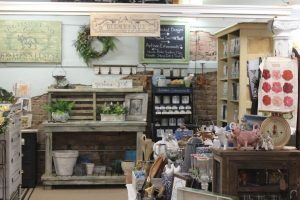 Gardenhouse Studio carries the full line of Miss Mustard Seed Milk Paint, and is also a stockist for Iron Orchid Designs (IOD) transfers and stamps, as well as Artisan Enhancements products. Gardenhouse also sells beautiful pieces upcycled and enhanced using the wonderful products they carry. For more information and to purchase items online, go to gardenhousestudio.com. 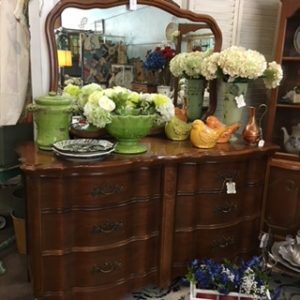 House in the Country has antique and vintage home decor including garden pieces, floral stems and arrangements, painted furniture, old European pine, ironstone and kitchenware. 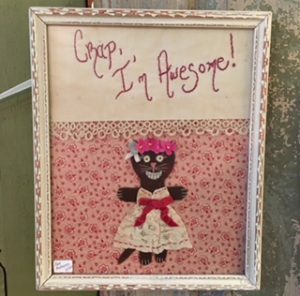 Angela Mas creates the most amazing jewelry and hand stitched samplers from antique fabric, buttons and trim. Her husband Joe make s adorable sculptures from vintage tins, kitchen implements and random household items. 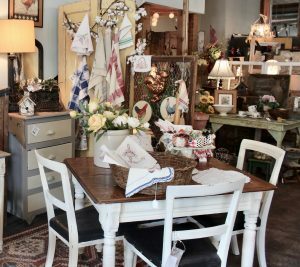 Kathy Nickel has an ever-changing collection of vintage home furnishings and accessories, including painted pieces, mid-century furniture, and decor for your country kitchen. 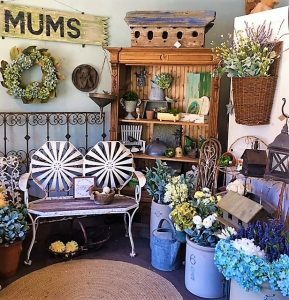 Royal Rustic is a colorful mix of antique garden benches, painted furniture, handmade pillows, vintage fabric creations, upholstered pieces and handmade jewelry. 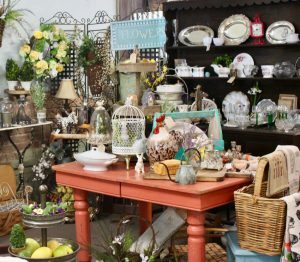 Veranda Vintage Market features beautiful home decor including European and American antiques, painted furniture, kitchen items, copper and enamelware.